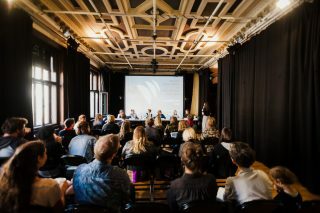 In September 2019 the Waves Vienna Music Conference, organized by Waves Vienna and Austrian Music Export, will take place for the ninth time. 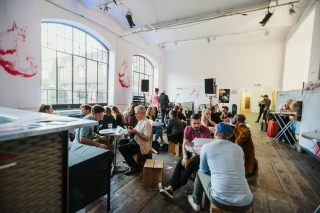 Hundreds of national and international music experts, organizers, label owners, bookers, and musicians will meet during the day for discussion and networking at Vienna’s WUK. The conference programme will address current issues in the music industry: How do artists place their music in film, television and video games and what best practices from the field of sync rights exist? How is a career as a musician or a job in the live music industry compatible with family life? What social responsibility does the industry itself bear and to what extent does this influence a decision between career and family? How important are music blogs for young artists´ careers, does radio still play an important role? 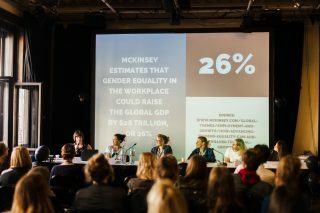 These and other questions will be answered by international representatives of the music industry in panels, workshops, networking sessions and speed meetings from 26 to 28 September. For the third time, the music export “XA Award” will be presented as a part of Waves Vienna. True to the motto “East meets West”, the focus this year is once again on two partner countries.